"Sampath Speaking" - the thoughts of an Insurer from Thiruvallikkeni: grand opening ceremony at Sochi Winter Olympics and the glitch .. !! 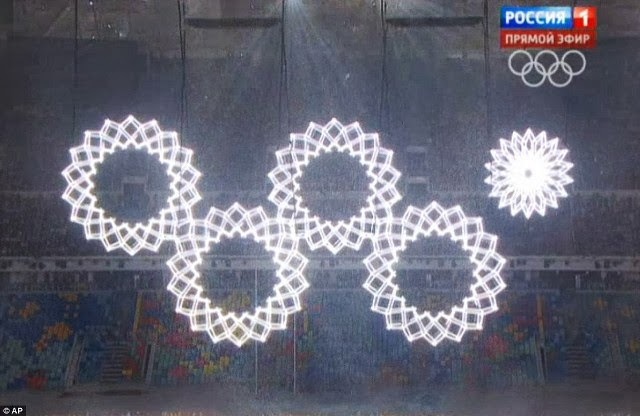 grand opening ceremony at Sochi Winter Olympics and the glitch .. !! I have posted earlier on the Parade of Nations and Indian anguish at Winter Olympics – officially the XXII Olympic Winter Games, or the 22nd Winter Olympics, now on at Sochi. The opening ceremony of the 2014 Winter Olympics took place at the Fisht Olympic Stadium in Sochi, Russia, on 7 February 2014. The Games were officially opened by President Vladimir Putin. An audience of 40,000 were in attendance at the stadium with an estimated 2,000 performers. The ceremony touched upon various aspects of the Russian history, and included tributes to famous Russians. The ceremony, titled "Dreams of Russia" opened with an on-screen video showing 11-year-old Liza Temnikova playing a character named Lyubov (Russian for 'love') reciting the Russian alphabet, each associated with images of a famous Russian person or landmark. 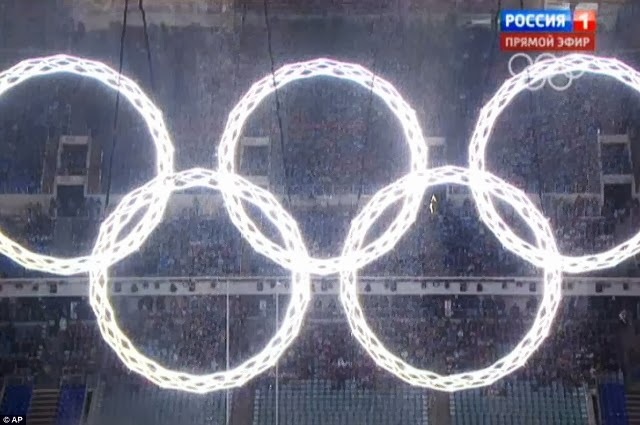 Five large snowflakes descended into the stadium which expanded and joined to form the Olympic rings. A glamorous superstar, tennis player Maria Sharapova brought the Olympic torch into the stadium. She handed it off to pole vaulter Yelena Isinbayeva who, in turn, passed it to wrestler Aleksandr Karelin. Karelin then passed the torch to gymnast Alina Kabaeva. Figure skater Irina Rodnina took the torch and was met by former ice hockey goalkeeper Vladislav Tretiak, handing the torch to him. Tretiak jogged out of the stadium alongside Rodnina. The pair then jointly lit the Olympic cauldron installed at the Sochi Medals Plaza in the Sochi Olympic Park to the music of the "Firebird Suite" by Igor Stravinsky. This was followed by a fireworks display across the area around Fisht Olympic Stadium, including the other sporting venues. Twenty-two tonnes of fireworks were lit. In total, the show lasted just under three hours. With an outsize extravaganza that reached deep into the repertory of classical music and ballet, traversed the sights and sounds of the world’s largest geopolitical expanse, soared into outer space and swept across millenniums of history in a celebration of everything from czarist military might to Soviet monumentalism, a swaggering, resurgent Russia turned its Winter Olympic aspirations into reality on Friday night. After seven years of building to this moment — the opening of what is believed to be the most expensive Olympic Games in history giving a message in a big way that ‘Russia is back’. 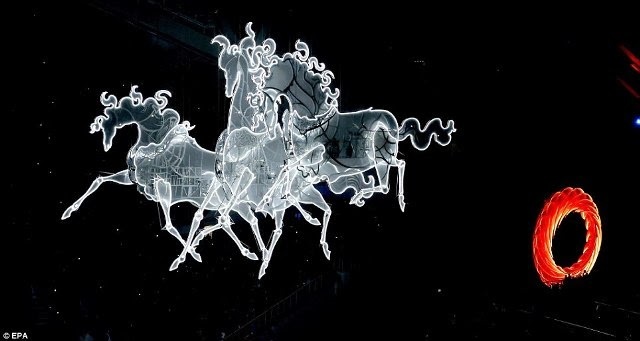 The majestic spectacle included a glowing troika of horses made of light streaking through a snowbound sky, the multicolor onion domes of St. Basil’s Cathedral bobbing in the air; literary references to Gogol, Tolstoy and Nabokov; and more …. 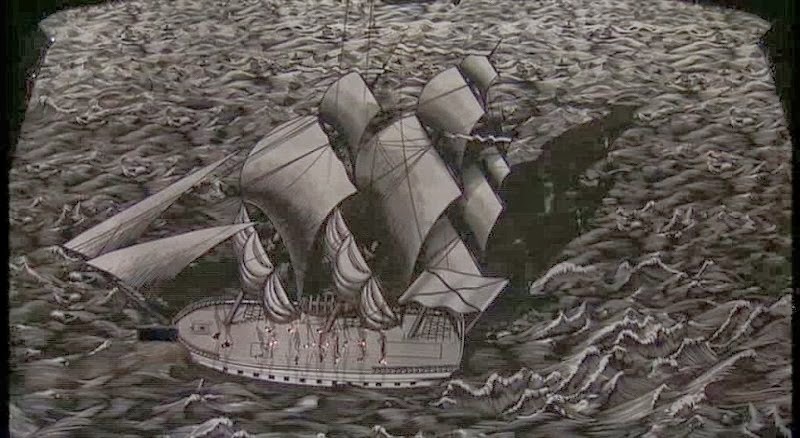 There were salutes to Russian science and innovation, including nods to Mendeleev, who codified the periodic table of elements, and Igor Sikorsky, the inventor and aviator. For those who watched, the extravagant event was breath-taking and one to remember. Photos : from various sources on the web.